Choosing a Content Management System (CMS) to power your website is one of those business decisions that you’ll want to get right first time. Select the wrong CMS and you could be ruing the decision for years to come. That’s not to say that you can’t change to another CMS down the track, but doing so is costly, time consuming, and can have a significant impact on your performance in the Search Engines unless the transition is managed correctly. If you’re considering getting your website built (or redesigned) using a CMS, then read on. The following questions are those you’ll want answers to before you sign on the dotted line. How easy is the CMS to use? The beauty of a Content Management System is that it lets you update your website content without the need to involve your web designer/developer. With that in mind, there's no point in having all of this editorial power at your fingertips if it's not easy to use. A good CMS should be intuitive and very user-friendly. When it comes to editing content make sure your CMS offers robust WYSIWYG (what you see is what you get) editing capabilities via a user interface that is very similar to MS Word. Furthermore, if your website contains images then make sure your CMS handles all of the 'heavy lifting' for you, such as automatically cropping, resizing and optimising images. Is the CMS ‘Search Engine friendly’? Does the CMS utilise a SEO friendly file/URL structure? Does it make it easy to edit the meta data and page titles on a per page basis? How does it handle redirecting old pages to new pages? While some of these concepts/requirements are probably unfamiliar territory for many website owners, they’re vital for improving the chance of your website to be found in the Search Engines. Does the CMS create good quality code? Having good, clean code is the foundation upon which your website and online presence is built. 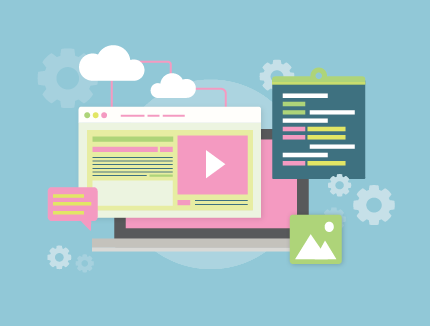 The coding of your website is important for ensuring that your website is maintainable, bug–free, and fast. 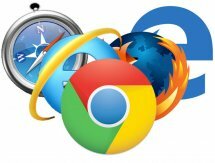 It will also go a long way to ensuring that your website can be viewed consistently across all web browsers (Internet Explorer, Firefox, Chrome, Safari, Opera etc). Furthermore, good coding can also help the search engines read or index your website. Make sure you ask if the CMS you are interested in adheres to W3C world standards for web design. Can my Content Management System driven website grow and change as my business grows? It’s vital that your CMS can be added to over time in terms of additional functionality. For example, if you’re just starting out you might not have a need for full-blown e-commerce functionality rom your website, but as your business grows you might discover that e-commerce is something that you feel could really benefit your business. If so, how easy is it to add this kind of functionality to your CMS? What sort of on-going support will you get? No matter how good your CMS website is or how technology savvy you are, sometime, somewhere, somehow something might go wrong and you’ll need to contact your service provider for help. In these (hopefully very rare) instances it’s important to know that there is help at hand in the form of a ‘real person’ at the end of the phone. If your CMS has built in help files that’s certainly great too, but being able to talk to someone when you need them is paramount. Is the content management system transferrable? Although you might be completely satisfied with the level of service offered by your web developer and the CMS you choose, it pays to consider what your options are should you reach the point where you feel you’re not getting the quality of service you should be. Also consider what would happen if the web development company is sold and you want to switch to another provider? The key here is to ensure that you can take your website with you wherever you choose to go. The last thing you want is to be forced to change to another CMS should you be faced with the need to move to another provider.